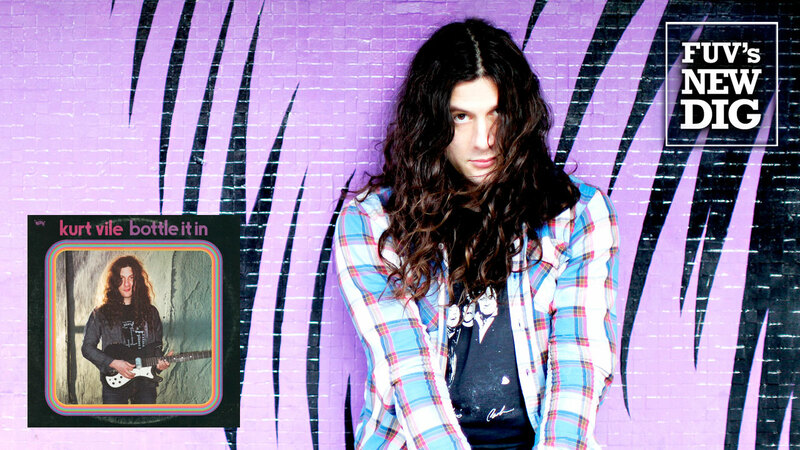 As a singer, songwriter, and guitarist always committed to enriching his musical scope, Kurt Vile carved his spot as an indie rock hero some years ago. On Bottle It In, his expansive seventh album, Vile fully embraces his abilities as a writer and performer. A Philadelphia area native, Vile started making music as a teenager. In 2005, when he was in his early twenties, he teamed up with Adam Granduciel to form a band, the War on Drugs. Their 2008 debut album, Wagonwheel Blues, was released around the same time as Vile’s first solo album, Constant Hitmaker. That album, a collection of accumulated home recordings, also featured assistance from Granduciel. At this point, Vile decided to concentrate on making music with his own band, the Violators (which also featured Granduciel early on), so he amicably bowed out of the War on Drugs. Over the last few years, Vile has released 2015's b'lieve i'm goin down, its companion deluxe edition, b’lieve i’m goin (deep) down, and a collaboration with Courtney Barnett, 2017's Lotta Sea Lice. He's been touring steadily too and the songs for Bottle It In were recorded over a period of roughly two years, at various stops across the country. Vile fit the visits to various recording studios into his itinerary while on the road and even on vacation with his family. Bottle It In is relaxed in its temperament and pace. “Bassackwards” is a a ten-minute, stream-of-consciousness haze with a buzzing bed of backwards guitar and a steady, strolling beat; its gently simmering keyboards reinforce the song’s late afternoon, summery drift. Vile adds a dose of 1970s California cool by turning to the Jerry Hayes’s composition, “Rollin' with the Flow." The song was first released by T.G. Sheppard in 1974 and covered by Charlie Rich in 1977 and Mark Chesnutt in 2008, but Vile's version has an especially personal touch. He also addresses his fear of flying in both “Hysteria” and “Cold Was The Wind,” while an equipment check improbably drives the full eight minutes of “Check Baby.” There definitely a pretty stoned perspective on “Mutinies," as Vile sings: "The mutinies in my head keep staying/I take pills and pills tryin’ make ‘em go away, yeah/The little man in my head take over/Drive me man, then he drive away in a Land Rover." The members of the Violators, Vile’s faithful band, are Rob Laakso, Jesse Trbovich and Kyle Spence. All three make considerable contributions to Bottle It In. Other guests include Jess Wolfe and Holly Laessig of Lucius), Cass McCombs, Warpaint's Stella Mozgawa, and Kim Gordon, ex of Sonic Youth. Bottle It In is steeped in Vile's laid-back vibe, moody free-flowing thought, and adept guitar playing. But what really works about this album is Vile’s artistic maturity and his clear motivation to expand his artistic horizons.